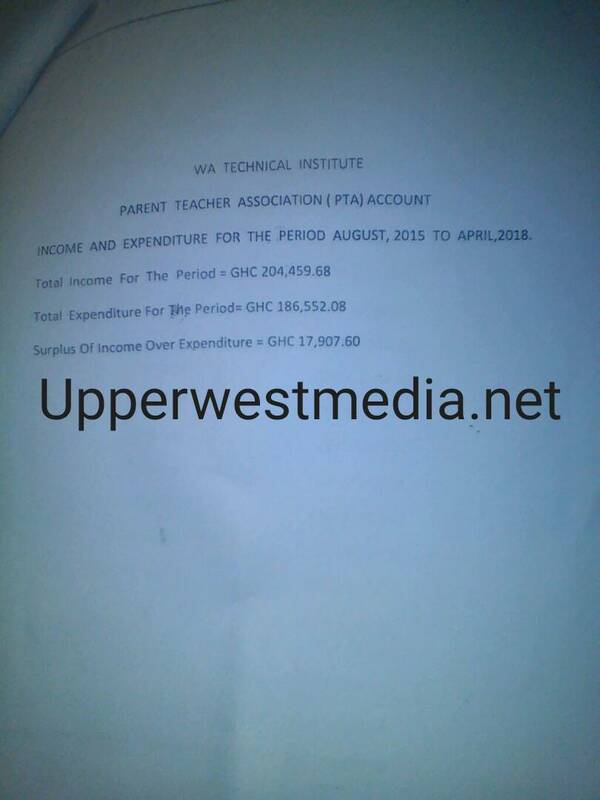 Wa Technical Institute: PTA Chairman Charged With Corruption, Removed from Office. Wa Technical Institute, one of the oldest Institutions in Upper west held their PTA Staff Meeting today 2nd June 2018. The board had a review of expenditure and Income to determine how the PTA Accounts was Managed along the Years. A statement of account from August 2015 to April 2018 was put to the floor. Surplus Of Income Over Expenditure is Ghc 17,907.60 within the Said period. 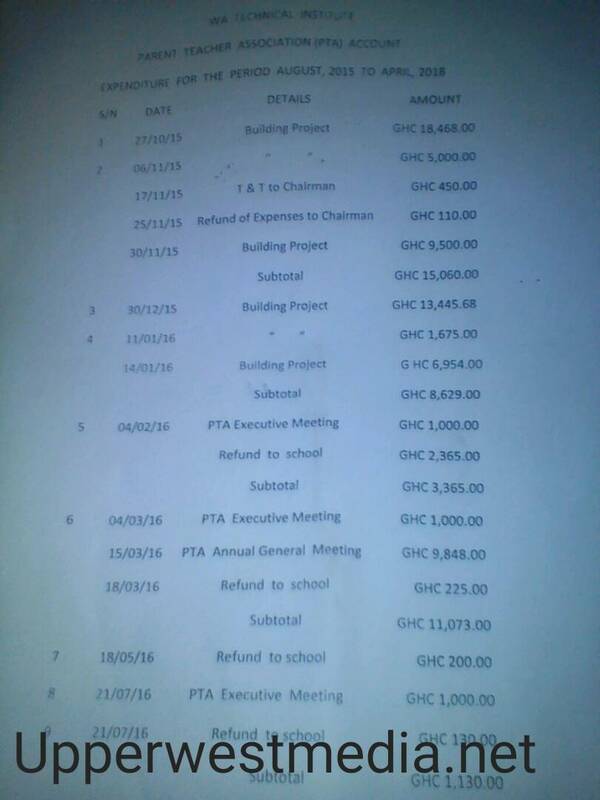 The report proved after every PTA Executive meeting, Ghc1,000 is withdrawn from the account as allowance. 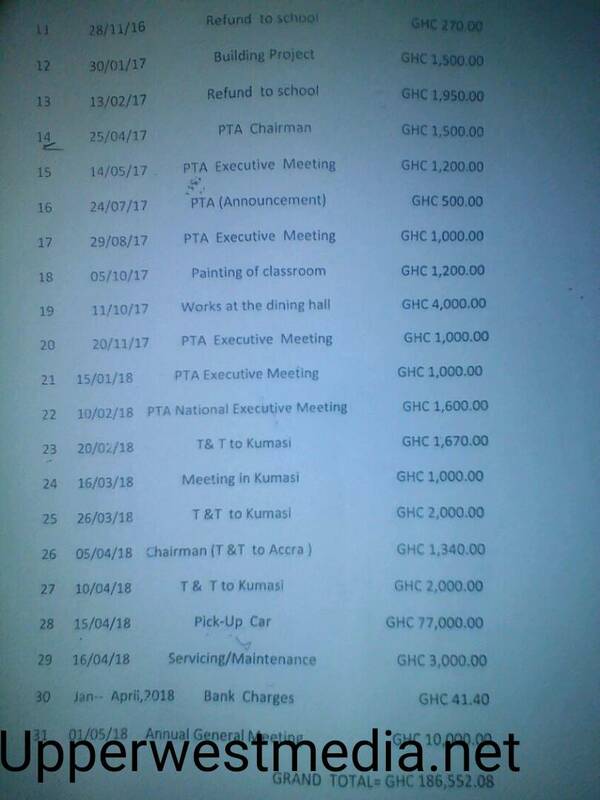 The report added that Painting of a classroom was valued at Ghc 1,200, works at dinning hall as at 11/10/17 was charged Ghc 4,000, T&T to Kumasi was Charged Ghc 1,670.00 as at 20/02/18, Meeting in Kumasi attracted an allowance of Ghc1,000 as at 16/03/18. The Chairman’s T&T to Accra as at 05/04/18 attracted an amount of 1,340.00 from the P.T.A Account and Later to Kumasi on 26/03/18 receiving another Ghc 2,000. 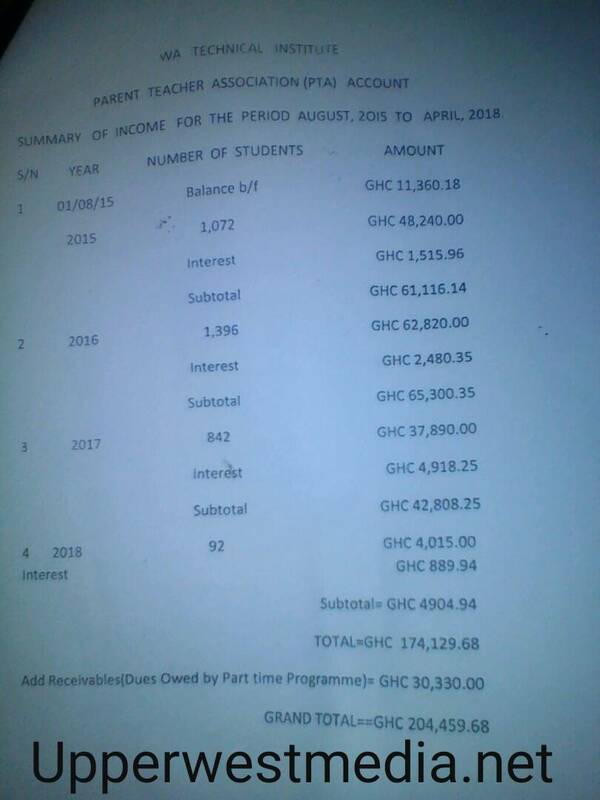 A pick Up Car was Purchased at an amount of Ghc 77,000.00 on 15/04/18 after which servicing and Maintenance attracted Ghc3,000.00. Lastly, the Annual general meeting for 1/05/18 engineered a withdrawal of Ghc10,000 from the PTA Account, According to the report. Bomberson Seidu Was the PTA Chairman for the Institution from 2015 till May 2018. He recently accused the institution of misappropriation of funds and abuse of institution resources, this attracted several responds and reactions claiming his allegations were premeditated to tarnish the image of some staff of the institution. Alhassan Salifu is the New PTA Chairman, he works with National Health Insurance and stays in Kambali. June 4, 2018 in Business, Local News.